Elite Studios has assembled an absolutely amazing group of dance instructors who embody the philosophy of "Less is More!" They each bring their own unique passion to TRULY TEACH - a selfless pursuit which all great teachers know is LESS about showing off their depth of knowledge, and MORE about drawing out the Spirit of Courage & Greatness held within every child. While possessing the formal training & ability to help students progress in technique & skill, they also share a burning desire to explore diversity in performing styles, personalities and individual energy of each and every student! Emily Viator is a Master Dance Teacher, with over 20,000 classroom hours taught since becoming an instructor 21 years ago. She has extensively invested herself in world-class training in Ballet, Jazz, and Tap Dancing. She annually attends multiple master classes & conventions around the U.S. to keep herself and her dancers healthy, and current on the latest trends in choreography and human movement! Miss Emily is the recipient of countless awards for her choreography at major dance events around the country, including the coveted "Choreography Award" at the 2012 Tulsa Prime Time Competition for her piece "Forgive But Don't Forget." 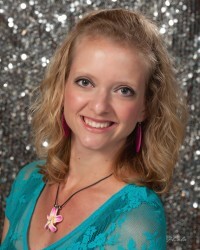 She is yearly certified in the teacher's course at Company Dance and has choreographed for Ozark Film & Video. She's also danced on the hit show, "What's Up Que Pasa," on the Children's Television Show. Several of her pieces have been featured in the Dance Coalition's Annual Spring Concert at the Walton Arts Center. She's been a member choreographer for the Dance Coalition, having served on their board for three incredible years, an invaluable experience which she says made her "an overall smarter and more complete leader & developer of young minds." She continues to help bring in & coordinate many workshops, master classes & master teachers in the NWArkansas area. She was sought out by the Harrison Lyric to choreograph timeless musicals, such as "Annie" and "Wizard of Oz," to name a few. She's worked alongside the world-renowned Houston Ballet for two years at their Summer Dance Intensive, coordinating auditions and rehearsals for the prestigious Moscow Ballet's United States tour of the "Nutcracker" - a once in a lifetime experience! Emily is the founder of the Fayetteville Montessori Movement and Tap program, going strong since 2004. Her personal studies in anatomy and physiology have assisted her in training healthy dancers with healthy minds. She's been a dance & movement instructor since 1997 - and Artistic Director of Elite Dance Studios in Berryville and Fayetteville since 1999. Virginia Mock is a Master Dance Teacher herself, also with over 20,000 classroom hours taught since becoming an instructor more than 2 decades ago! She's taught and trained all over the United States as a past instructor with Universal Dance Association, an organization known for setting the highest standards in quality technique, leadership & inspiration across the entire landscape of American dance! A highly trained & skilled instructor in Jazz, Hip-Hop, Lyrical and Tap Dance, Miss Virginia was was awarded the opportunity of a lifetime with a six-month, intensive internship at prestigious Broadway Dance Center in New York City in 2006. This invaluable experience was critical in the developement process into the incredible trainer & instructor she is today. She's also received more state and regional level awards than we can even list for her unique & Powerful choreography, which many of her students will tell you creates a bond that lasts far beyond their time at Elite. She is passionately & positively obsessed with providing nothing less than World-Class dance & movement instruction to children in an environment which is most conducive to both their overall physical & psychological development! Because of her vibrant personality on AND off stage, she was selected as a day-player on ABC's, "The View," alongside Hillary Duff, Alicia Keys and other notable celebrities and entertainers. Virginia has been a dance & movement instructor since 1997 - and Artistic Director at the Elite Dance Studios in Berryville and Fayetteville since 1999.